I remember my first few months when we began to make serious money in real estate. Life was good. Deal flow was abundant. We had private money sources to fund our transactions. Every day offered 1-3 serious opportunities to buy another property. We averaged buying and selling two deals per week for nearly three years. The first year, all of our deals were assignments. We made $235,000 profit. The second year we opened up to doing rehabs and did 60% assignments and 40% rehab. We made over $700,000. The next year we flopped those numbers around and did more rehabs. We did over $1,000,000. The money was consistent…and so was the constant need to be “on”. You could even say it was borderline stressful at times. We did that for another year and at the first sign of the marketing beginning to change, we flew in our secret weapon…the very first educator I ever heard speak in the field of real estate. He was not mainstream. Couldn’t be found on a webinar and his website looked like it was the first website ever created. It actually may have been. He was a close neighbor to Bill Gates. We didn’t care about his online appearance. We knew his track record and wanted to implement his model as our new way of doing business. He flew in and we showed him our machine. Nearly in tears, he explained and showed us how we are working our asses off to cut our own financial throats. He made us aware of just how much money our lenders make from our hard work. He pulled out a napkin and showed us how we are making a small fortune and only keeping enough to fill a small piggy bank. From that day forward we changed the direction, positioning and structure of our business. From lead flow to lender interest rates to strategy implementation. We set out to become property owners and disassociated ourselves with being property flippers, wholesalers and even landlords. Those are bad words in our office. We used words like price, terms, expandability, zoning, wrap notes, maker beneficiary agreement. It was a new level of sophistication. Our first step was to identify 100 of our areas top properties we want to own. Not single family. Small apartments. Retail storefronts with lofts up above. Prime office space. The good stuff we drool over believing we don’t have what it takes to acquire. This seemed daunting as we were just some amateur guys who worked our flipping model well and had purchased a few hundred properties in the last couple of years. We were used to going after old, ugly distressed properties. Within 5 days we had 100 photos, public records, biographies on the property owners and a very solid idea of the income potential of each building. We set out to get in contact with all of them. We mailed personal letters that engaged people and began purchasing these properties one at a time. I will admit this was MUCH SLOWER than our previous model however it only took the first deal to realize how much equity we captured with effort nothing like we did with high volume wholesalers and rehabs. Sure I was still on the hook for $151,000 mortgage and note, however the major difference is that there was zero pressure to have that money back to the lender within a certain time period. Not to mention that that deal covered itself day one…and still threw off excellent cash flow. Here is EXACTLY how we bought that deal. How To Build Wealth From Your Next Wholesale Deal. Below is the summary of that.. Moved the sellers $15,500 note to another property we owned and pocketed $25,000. We netted exactly $7,500 from that sale (even though we pocketed full $25k). Meanwhile we were negotiating a 4 unit apt building in an excellent part of town. We purchased that 4 unit for $159,000, put $7,500 down payment, seller carried $151,500 note at 7% for 15 years. We cash flowed that building for over a year and finally someone wanted it so bad that they paid us $250,000 (if I remember correct). So not only did we lock up a A class asset for $7500, but the property covered itself month after month, removed pressure from us having to renovate and improve, threw off additional net cash flow to our company, and then someone comes and pays nearly $100k more shortly after 1 year later. Therefore we also avoided cap gains tax. ALL OF THIS STARTED WITH $2000 down on a cheap rental house. I remember leaving the closing and went right back to my office to draw this out on the white board so I could visualize what just happened and how we can do it again. This was the first time I realized Ill never go back to our old ways again. We took that sellers $151,500 and moved it to another duplex, this time closer to downtown and paid off an underlying balance of $107,000 that we were paying more interest on. Now that property was REALLY cash flowing. Don’t get me wrong, we had many 100k months, however those were dependent on us being in the field 50 hours per week. Do you know what happens when you make $100k and are subject to capital gains? You’re immediately only sitting with $70,000. What we were experiencing was wealth creation. So it turns out that our number one profitable source for real estate deals is direct to seller with out Top 100 Properties.. The number one strategy is to leverage and control properties. This can be done with option agreements, through owner finance and even certain wrap notes. Im sure cash would have resulted in the same profits, however it was leverage that allowed us to sequentially hit on all cylinders. How to Transition From Wholesaler/Flipper to Wealth Building Property Controller? 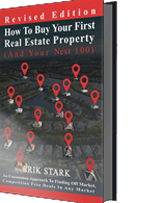 *Side Note – I advise you to begin building your own list of Top 100 properties however for sake of this post we are going to show you how to transition right where you currently are in your business. First you start by incorporating this single question into your qualification sheet. Wether its you or a virtual assistant, I want you to begin asking this to every seller lead who calls to sell you their property. “Are you interested in selling for cash or would you like to receive a secured monthly income from the sale”? You can also try a variation of this and use “regarding the sale, are you looking to receive all cash or would you like to continue to receive an income stream from the sale of the property”? *Another Side Note – I must stress the importance of offering cash first and leaving with the secured monthly income. It has been my experience that more people show interest when presented above which makes it more possible for us to structure their deal that way. Offering cash as the last option, in most cases made it super easy for them just to say “just give me the cash”. By offering this question, you are opening the door to leveraging your way to wealth. Don’t be discouraged if your first deal doesn’t make you $100,000. Just know that anyone can buy a $17,500 crack shack with $2000 down and get there. You want to structure these deals to forecast long into the future. The one idea you need to wrap your mind around is that real estate is 100% SEPARATE from financing. They are two totally separate entities. Both can be profited from and maneuvered around. Many of our deals don’t require a payoff at closing. Generally we do a discharge of the underlying balance and then simultaneously record the new note and mortgage on the new subject property. Most typical deals that are common usually require a payoff, then the check to be sent back to the lender, the discharge to be recorded at the county, then the funds have to clear lenders bank and if you have a deal waiting in escrow to close with the principle or proceeds from the previous deal, you could be waiting days to fund your next transaction. We do it all within 5 minutes and every can mentally see the moving parts coming together for one beautiful symphony. Your goal with these deals is not so much about the property, its about the structure of the deal. The goal is to create long term, low rate, amortized debt that you can switch to another property if you decide to sell the current property that the debt is being collateralized by. Our mentor describes this as the “Bank of US”. It almost acts like a line of credit that allows you to switch debt, collateralize any equity and secure any source of funds as long as you have equity and cashflow to support the note amount. The next objective you want to accomplish is to set these deals up for cash flow for the long haul. Getting your sellers to agree to 10, 15, 20+ years of financing is going to be one of the greatest future plays you’ll be able to enjoy in your business for years to come. Once this deal is set up for 15 years, the lenders are getting interest only or amortized payments, the property is covering itself and you are now collecting cashflow. This is where buying property in EXCELLENT areas will accelerate this process. You have so many more possibilities in A class areas that you don’t get with crack shacks and war zones. As explained, these deals in excellent areas created future demand that allowed us to realize over $100,000 in profit, from two properties, with less than $2000 of ACTUAL money out of our pocket (remember the $7500 was from profit from selling the crack shack) and only $151,500 note we were responsible for. We RARELY made $100,000 by only using $151,500 to generate it. 1. Your objective is to begin asking and getting comfortable with “the question”. 2. When you get someone who is ready to sell on owner finance, fill out the purchase agreement the same way, except instead of cash, its going to be a purchase money mortgage and the rest of the details are pretty much paint by number. If you truly plan to make this a part of your future business, it would be to your benefit to get educated on the possibilities of owner finance and how to maximize your deals. We can help with that and have several case studies, unique processes, documents and structures to help you begin taking these down. As you become more sophisticated with larger deals you will want to have a full on language for communicating your skill confidently. 3.Plan for the long haul. Lock up those deals for as long as you can. When interest rates soar to 8, 9 even 12%, you’ll have a nice little asset that can be repositioned to free up your 5, 6 or 7% money source to use for your next great acquisition. 4. Get educated on how to improve your control and positioning on these deals. You’ll still be responsible for the debt associated with these deals just like any other real estate transaction, however you’re only limited by legalities and the extent of what you can confidently explain and this gives you ultimate flexibility. As you begin to acclimate yourself to this you will discover that little by little the pieces begin to come together. It may be tempting at first to take that quick $5k fee, however, you’ll ever be as good as your last month.